My Favorite Muffin is on the forefront of the growing Bakery CafeSegment which continues to be the fastest category within the Fast Casual market. We stand apart from the crowd because we have a unique offering not found in other venues. The My Favorite Muffin bakery cafe concept was developed to delight the customers and our franchise owner-operators as well You will be able to produce My Favorite Muffin branded gourmet muffins, freshly baked Big Apple Bagels brand bagels and selection of delicious sandwiches and salads and serve our own Brewster's brand of brewed coffee, specialty drinks and smoothies. 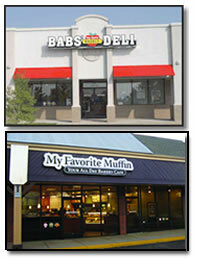 As a franchisor, BAB Systems, Inc. has always focused heavily on the level of support it provides to its franchisees and the importance of open lines of communication to foster strong franchise relationship's Franchisees know they can count on us to watch our position within the industry and do what it takes to keep up with the ever-changing consumer preferences. As a My Favorite Muffin franchisee, you'll receive guidance and assistance with the key steps involved in getting your business up and running. Our goal is to help you achieve excellence in every aspect of your business. Towards that ambitious goal, you and your key personnel will receive extensive training that covers all areas of the operations. The time is now. The opportunity is here. We have no doubt that we are in the right place at the right time. We need the right people to grow with us, if you have the drive and the ambition to build a business...backed by the support of a dedicated franchising company, we invite you to consider this franchise opportunity and encourage you visit our web site and explore our brands. 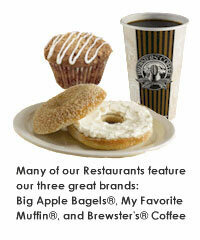 Click on Request Information button above for FREE information on how to start a My Favorite Muffin franchise today! Please Note: My Favorite Muffin franchises for sale, and other franchise opportunities, business opportunities, businesses and franchises for sale on this web site are not to be considered as an "offering", "franchise offering", suggestion or recommendation by GlobalBX. 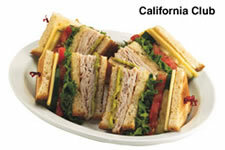 The franchises, businesses and business brokers seen on this web site submit their own individual content. This advertisement depends entirely on the truthfulness of the information provided by our advertisers which includes, but is not limited to, franchisers, franchises, franchise brokers, franchise consultants, business sellers and business brokers. As always, GlobalBX recommends that you consult a lawyer, financial consultant, accountant or professional advisor before buying a franchise or business opportunity or any type of business. By submitting this form and requesting more information, you have agreed to all terms and policies of GlobalBX and the business and franchise offerings listed here. Please review our Terms & Conditions for more information.